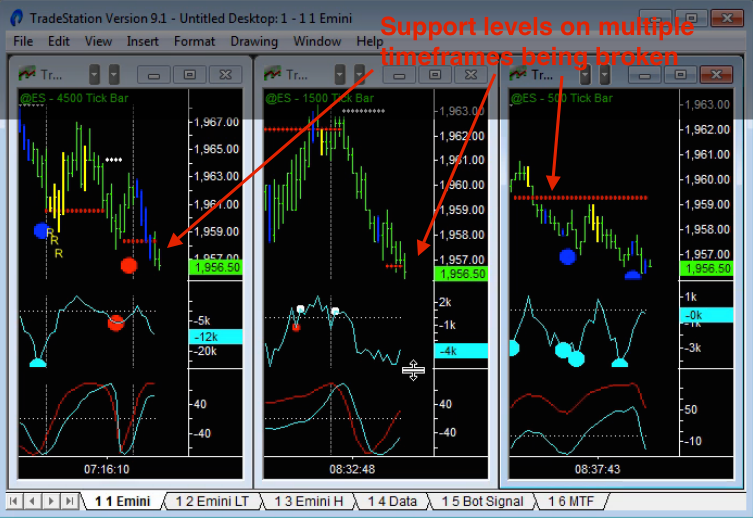 In this video I talk about when you get a “triple” – 3 Support (in this case) levels coming close together and being broken almost simultaneously. That’s when we get really strong breakout or trend moves. Here’s what the Emini chart looked like as the break happened. And here’s another video on spotting winning breakout trades.